Babassu oil is most commonly used in soapmaking, as well as the food and cleaning industries. Babassu fruit is used in various drugs, cosmetics, and beverages. With similar properties to coconut oil, Babassu is increasingly being used as a coconut oil replacement. Babassu oil is high in both lauric and myristic acids, and contains approximately 70% lipids. Babassu is considered to be a superior emollient, beneficial for dry or oily complexions, gently moisturising the skin without leaving oily residue. Lauric and myristic acids both have melting points that are close to normal human bodily temperature, so Babassu oil melts on contact with the skin by drawing heat from the body itself. 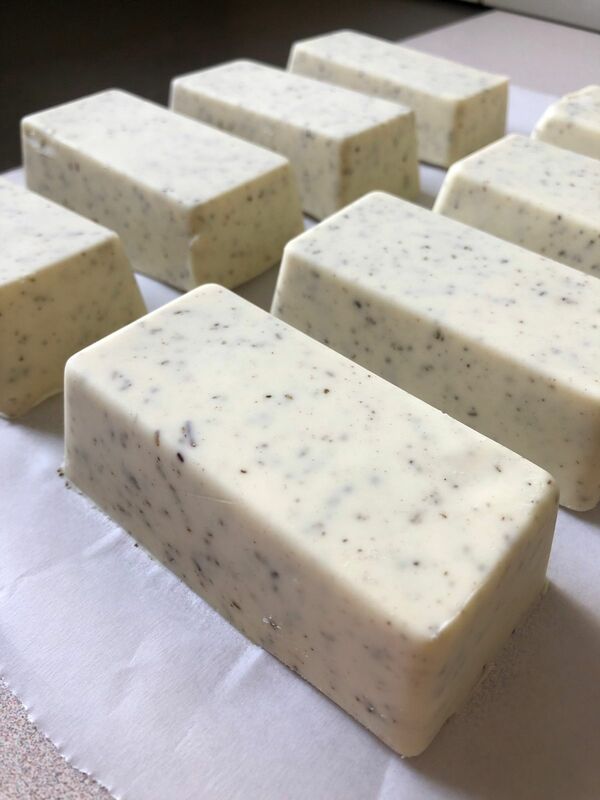 This is my first batch of CP soap with Babassu oil, and so far I'm very pleased with the result. The bars seem very creamy in texture compared to what they usually are. I'm looking forward to using them when they are cured. Lovely oil to use. Great in soap dough recipe. Abit pricey so use sparingly.